We've added two more consoles and all their games to our website, Atari 5200 and Atari 7800. 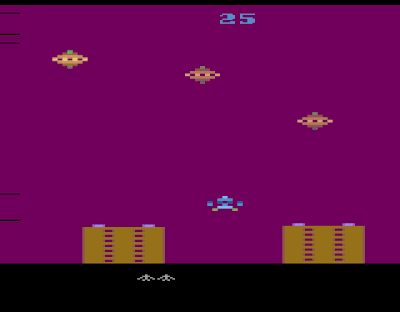 We added 80 Atari 5200 games to our database this morning. Only Bounty Bob Strikes Back is listed today. By tomorrow morning more than forty or fifty 5200 games will be on the website and more will show up as we find prices for them. VGPC now has 42 Atari 7800 games with a price, plus about 30 more games that we are waiting to find prices for before adding them to the website. Both Atari 5200 and Atari 7800 can be found in the menu on the left under the "more systems" category. As long as eBay has been around people have claimed that certain days are the best day of the week to sell because the prices are the highest. Common thoughts are, "Monday is the best day because people come back to work and use their fast internet to bid on stuff", or "Friday is the worst because people are going out for the weekend instead of bidding". Is there a best day of the week to buy or sell a video games on eBay ? There are two factors in deciding what day of the week to sell an item: how likely is it to sell and what price will I get? The chart above shows the average number of games sold every day of the week. Sunday has the most video games sold with 11,438. Followed in a distant second by Monday, which had 8,818 sales on average. The lowest day of the week was Wednesday with 7,639 transactions on average. This is nearly a 50% difference from Wednesday to Sunday. This would cause us to believe that Sunday is the busiest day of the week in eBay's video game section. The more buyers there are online the more sales there will be. This is backed up by the fact that there are more fixed price listings that close on Sunday too. These listings aren't dependent on the ending time, but with all else being equal will end more often when more people are shopping. Is This Difference Statistically Significant? This difference in sales could be random variation and not a real difference based on the day of the week. A chi-square test can tell us how confident we can be that the difference is significant. The test tells us we are 99.99% sure that Sunday has the most sales. The chart above shows the average video game price on eBay by day of the week. Our data shows that Wednesday has the highest average price and Sunday has the lowest. But the difference is very small, only 7% difference between the two ($18.52 on Wednesday and $17.26 on Sunday). Running the same chi-square test shows us that the difference in the prices is not statistically significant. This means if we ran this test again in a few months with new data we could get completely different results. Don't Worry Much About Ending Day - Sunday might have more shoppers but the ending price of the video game auction will probably be the same no matter what day it ends. So don't worry about the day of the week too much. No Special Deals on Friday or Saturday - your not not going to get better deals on certain days of the week because prices are generally the same. Shop Fixed Price Items on Wednesday - If someone starts a fixed price listing with a really good price, you have a better chance of spotting it first on Wednesday because there are fewer shoppers to spot it before you. This article is based on ebay sales data from May 1st 2009 to August 31st 2009 gathered by VideoGamePriceCharts.com. It contains 1,071,279 individual transactions and net sales of $19,089,853. Like most retailers, eBay sees a big increase in traffic and sales during the holiday season, which traditionally starts after Thanksgiving. How many more items does eBay sell though? We used our price data for video games on eBay to find out for sure. The chart above shows the number of completed video games transactions on eBay from November 8th to December 14th 2009. The red line in the middle is Thanksgiving Day. Before Thanksgiving, the number of transactions follows a weekday trend with busy Sundays and slow Fridays but the average is fairly steady. Sales quickly jump after November 26th and consistently stay above the pre-holiday average. This chart is the same as the top chart but adds two lines showing the average number of games sold on eBay before and after Thanksgiving. Before Thanksgiving, an average of 11,400 games sold every day. Afterwards, there were an average of 14,900 games sold per day. 30% more games sell every day on eBay after Thanksgiving than before. Note: Due to a server outage on December 3rd we didn't collect price data on every transaction that day so the actual number of sales that day is higher than the 9,000 we show in the charts. We had a hard drive failure on one of our servers last night. We have backups and are working to restore all of our data. VGPC might be down intermittently for the next several hours. Thanks for your cooperation and sorry for any inconvenience. As you know, we've had GameStop prices on our site for a couple months. That's handy when you're looking to price a few games or when comparison shopping. If you run a retail video game store, checking the website for every game in your store might be a bit tedious. To make it easier for retailers to price their inventory competitively, we now include GameStop prices in our Retail Price Guide. By downloading a single file, you can make sure that you never charge more than GameStop. You could print "Our Price: $9.99 GameStop: $12.99" on your price labels. Or advertise locally that you always beat GameStop prices. However you use it, we hope you enjoy the new information. As always, our price guides are free for NES, SNES, PlayStation 2 and Xbox 360. You only have to pay if you want prices for the other consoles. Some researchers have said video games can cause social problems and lead to aggressive behavior. Our data at VGPC shows that gamers still have family and friends and their video game addiction hasn't driven all their loved ones away. 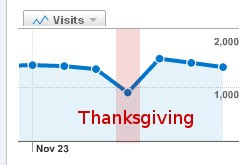 Traffic to VGPC.com dropped more than 30% on Thanksgiving Day. We assume those who didn't use VGPC on November 26th were eating grandma's pumpkin pie, playing football with their friends, or in a turkey induced coma. If we compare the traffic hour by hour on Thanksgiving Day vs the previous Thursday you can see that traffic on the site was pretty much the same the whole morning and late in the evening but the big difference was during the traditional meal time between noon and 3pm. Gamers do have family and friends, but they only want to spend a few hours with them before they get back to their game shopping. And by Black Friday, they are back with the rest of the US comparing prices in full force. An auction for Air Raid for Atari 2600 was just listed on ebay last night, it's already selling for $1,999. 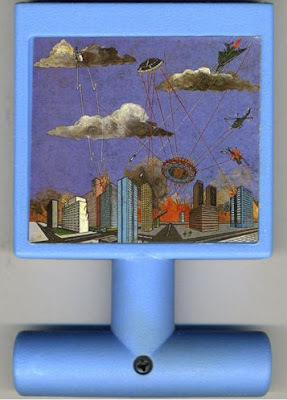 Air Raid is definitely one of the most sought after Atari games for any collector. Air Raid was the only game ever made by MenaVision and only five have ever been found to date. The game has a very distinctive cartridge too. It is sky blue with a handle for easy loading and unloading in the 2600 console. Air Raid is a shooter like Space Invaders but the action takes place over a city instead of in outer space. The exact number of Air Raid cartridges that were produced is unknown and not very much is known about Menavision either. With the auction of Music Machine two days ago, this is turning out to be a great week for Atari 2600 collectors, or at least the two collectors who buy these games. UPDATE: Thanks mndrix for the reminder, the auction closed at $2,850, which makes it one of the most expensive Atari 2600 games. 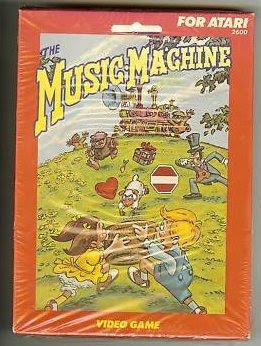 A super rare, sealed Atari 2600 game called Music Machine sold on ebay for $5,250. The game was sold in Christian stores and there was an LP and cassette with the same name. The game tries to teach kids about the "Fruits of the Spirit", which are love, joy, patience, kindness, goodness, faithfulness, gentleness, self-control. "Symbols representing character-building qualities (the Fruit of the Spirit) are raining down from above. Stevie and Nancy need your help to collect the symbols and to avoid the mischievous pudgeons...and with each gift of Love you collect, the symbols rain heavier and faster. Get points by collecting the Fruit of the Spirit symbols. Play alone or challenge a friend. Read the booklet and learn a valuable lesson." Apparently Christian video games make great collector's items. Other games like Super Noah's Ark 3D, Joshua and the Battle of Jericho, and Sunday Funday are all rare and fairly expensive too. Maybe I should take a trip down to the local Christian bookstore and buy every video game they have in stock. Or maybe they no longer make Bible video games because they didn't sell very well and that is why they are so rare and expensive now. On a side note I can still sing some of the songs from the Music Machine cassette that I made my mom play in the car when I was a kid. If only I had begged her to get the video game too! There is an auction on ebay for Nintendo Campus Challenge 1991. There is only one of these in the world and it's a very sought after piece of Nintendo gaming history. In 1991 Nintendo hosted a second Nintendo World Championship but toured 58 college campuses so they called it the Campus Challenge. Nintendo made a special cartridge just for this event that had Super Mario 3, PinBot, and Dr. Mario. 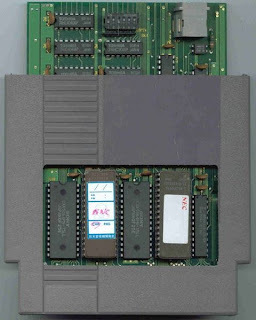 After the competition was finished all of the cartridges were supposed to be destroyed, but in 2006 this cartridge appeared at the garage sale of an ex-Nintendo employee. The auction started at $0.99 with no reserve but the price already up to $3,250. Where will it end up? We will be sure to update the VGPC price for Nintendo Campus Challenge 91 once the auction closes. The game sold for a record $20,100. A user on youtube posted a video showing the last two minutes of the auction as the price increased from $8,500 to $10,000 and then to $20,100 with 2 seconds left. We're adding GameStop prices to VGPC starting today. Initially not every game will show a price, but within a few weeks we will show a price for every game that GameStop sells. The GameStop prices will not be used in the price history charts or in the "VGPC Price" we list for every game. 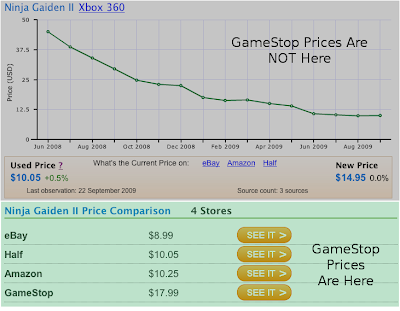 We did this because adding GameStop prices to the charts now would cause a spike in prices for almost every game (GameStop is usually more expensive than eBay and Amazon). This would make comparisons for past prices harder because it would be comparing apples to oranges. We're adding GameStop prices because so many of our users asked for them. In the comments below let us know if there are any other used game retailers you want us to add next. The full Retail Guide documentation reflects the new columns. The Collector's Price Guide is unchanged. If you bookmarked the old URL and rely on that format, don't worry. We'll continue supporting the old format too. There's no need to change the way you use the file until you're ready. JJGames.com is celebrating its 100,000th order by giving away Nintendo World Championships Gray cartridge and some other rare games in their Rare Game Giveaway promotion. NWC Gray most recently sold on ebay for $5,100 and is one of the most rare and sought after games for collectors. For those of our readers who don't have $5,000 to spend on a video game this is your chance to add this holy grail to your collection. The interest in Nintendo World Championships has definitely increased over the last three years. Google shows that the search volume for "nintendo world championship" has steadily increased since 2007 and Google predicts it will continue to increase over the next year too. 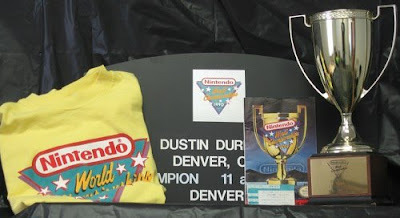 If you are lucky enough to already own Nintendo World Championships you can also win some memorabilia from the original Nintendo event. It includes a plaque, trophy, and t-shirt made specifically for winners of the 1990 competition and an NWC ticket stub and magazine. You can also win some other rare games by entering the contest, including Starfox Super Weekend, Caltron 6-in-1, and Suikoden II. All games that are worth more than $100. Good luck to everyone who enters the contest. Let us know if any of you win. For the past 18 months we've offered our Video Game Price Guide service as a subscription service only. You had to setup a subscription with monthly payments if you wanted to download all the prices for the 13,000+ games in our database. Now you can pay a one-time fee of $4.99 and download the full price guide ($19.99 for the retailer's version). Many video game collectors told us they didn't need to update their price guide multiple times per month but would love to download all the prices, use them for a few months, and then download them again later when they needed an update. This new payment structure gives you this flexibility. Retailers and Collectors who still want more frequent updates get a better deal with the monthly subscription, but you're not forced to pay monthly if that's not what you need. You can >try out the trial version of the price guide for free. Then make a payment when you're ready to download the full guide. Thanks to all of our users for their continued feedback about our site and the price guide service. Sega Saturn was released in 1995 and competed along side the Sony Playstation and Nintendo 64. The Saturn never caught on in the USA and was discontinued three years after its launch. During this time more than 250 games were released for the console. Because it never sold so badly many Saturn games are now rare and some are quite expensive. Below is a list of the most valuable Sega Saturn games and what makes them so rare. Panzer Dragoon Saga is a role-playing game published by Sega. The game takes place in a post-apocalyptic world and you control and fight with a dragon. It is the third game in the Panzer Dragoon series. Panzer Dragoon Saga released April 1998, a few months before Sega officially discontinued the console but well past the point where the console was selling well. 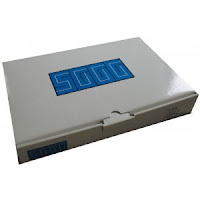 Rumors are that Sega only produced 6,000 copies for launch. Two reprintings were done bringing the total number of copies to 30,000. The game has never been re-released on any other consoles. Daytona USA Netlink Edition is a racing game. Daytona USA was a launch title and a port of the arcade classic with the same name. Sega released a Saturn specific version named Championship Circuit Edition in 1996. At the same time Sega released a Netlink compatible version, which could be played online. This version was only sold on the Sega online store and is believed to be the rarest Saturn game of all time. The game looks similar to the CCE version, except for a small Netlink logo on the game disc. Magic Knight Rayearth is an action role-playing game developed by Working Designs. The game is based on a Manga and anime series with the same name. The gameplay is different from many RPGs with battles taking place in a tag-team fashion and character upgrades happening at fixed points in the game instead of based upon experience. Magic Knight Rayearth was the last game released for the Sega Saturn. It came out in December 1998, four months after the Saturn was discontinued. Because of this late release, Sega produced the game in very limited numbers. Shining Force III is a tactical role playing game published by Sega. It is the third game in the Shining Force series and was meant to be released in three 'scenarios'. The real ending would only be seen if you beat all three games. Unfortunately only the first scenario was released in the USA due to poor sales. Shining Force III was released the same month the Saturn was discontinued. The game sold very few copies because it was released so late and was for a niche genre. Burning Rangers is an action game published by Sega. You play as a firefighter in a futuristic society where fire is one of the only dangers. You play through various missions and save civilians from buring buildings and emminent doom. Like most games on this list, Burning Rangers was released 1998. The release date doomed the game to failure as most gamers had moved onto PS1, N64, or were anticipating the next generation of consoles. Albert Odyssey is a role-playing game published by Working Designs. You play as young boy who tries to prevent the destruction of the world with the help of a talking sword. The game was original developed for the Super Nintendo but was cancelled and ported to the Saturn in 1997. Albert Odyssey sold better than many games on this list. It was very well reviewed when it came out. The quality of the game and the devoted following for RPG's helps keep the resale price high. Dragon Force is a real time strategy and role-playing game published by Working Designs. You assume the role of one-of-eight rulers in the land. You strategically control your army on the world map and when you meet another ruler you control the characters on a tactical level. Dragon Force is one of the few games on the list released early in the Saturn's life cycle. It sold fairly well and was very well received critically. EGM even rated the game one of the top 200 of all time. It was only released on Saturn so people who want to play this unique RPG most buy this version. House of the Dead is a light gun shooter published by Sega. The game was original developed for arcades but was ported to Saturn in 1998. It was the last of the light gun games released for the Saturn. House of the Dead was another victim of a late release date. The game has been ported and re-released on many different consoles, but the original continues to hold its value for collectors. Saturn Bomberman is a action/party game published by Hudson Soft. It follows the same premise as other Bomberman games. You drop and explode bombs to clear a series of levels. The Saturn version of Bomberman is well known for its 10 player multiplayer battles. If you hook-up two multitaps you can play with 10 other human players on one TV. The game was released in 1997 and sold relatively well but is still fairly hard to find today. Guardian Heroes is a 2D side scroller and action RPG. Very similar to Golden Axe but with RPG elements included. The game also has mulitple paths to victory so you can choose which way to go and fight different bosses and get different endings. Guardian Heroes is definitely a niche genre, which limited sales. It is considered one of the best Saturn games of all time and one of the best beat-em up type games too. Last month we changed our eBay bots to collect data about games for which eBay has no UPC. This should be an especially useful improvement for older games. Info about third generation systems (such as NES prices) now have three or more sources on nearly every game. For consoles in the second generation (such as Atari 2600 and Intellivision), the prices are now based on both sales data and listing data. This change also means that the console pages and individual game pages link to eBay more consistently. Hopefully that helps you find current eBay auctions for games you care about. We have lots of ideas for improving our price data and making the site more useful. If you have any suggestions or pet peeves about the site, we'd love to hear 'em; just leave a comment below. Sega released the Dreamcast September 9th, 2009 (9/9/99) but it never sold very well and was Sega's last home game console. Because the system sold poorly, many of the Dreamcast games are now rare and quite valuable. Below is a list of the most expensive and rare Sega Dreamcast games. You will quickly notice a trend on the list with lots of Capcom games, fighters, and shoot em ups. Project Justice is a 3D fighting game. It is the sequel to Rival Schools, a rare game for the Playstation 1. It is a team based fighter with three characters in your squad and the ability to use a three-person attack. The fighters all have an academic or sports fighting style (swimming or school paper are examples). Project Justice was released by Capcom three months after Sega announced they would exit the console business. Sales were weak because most gamers had stopped buy Dreamcast games at this point. The game is very good though so the copies available sell for a premium today. Street Fighter III: 3rd Strike is a 2D fighting game in the long running Street Fighter series. Like the title says, this is the third game with Street Fighter III in the title. It includes 20 charactes including four brand new ones. Street Fighter III: 3rd Strike was released by Capcom in 2000. It sold poorly because the Dreamcast was on its last legs at this point. Capcom released the game on Xbox Live and PSN, but unlike Marvel vs Capcom 2 (see below), this virtual release did not hurt resale prices for SFIII. Power Stone 2 is a fighting game with up to four players allowed in multi-player. The game lets multiple people play against each other and use tables, chairs, and other items in the battles. Like many games on this list, Power Stone 2 was released by Capcom. The game was ported to the PSP in 2006 as part of the Power Stone Collection. This port did nothing to decrease the value of the original. Fatal Fury Mark of the Wolves is a fighting game in the Fatal Fury series by SNK. The game was originally released on the Neo Geo, but was ported to the Dreamcast in 2001. The release in September 2001 was half a year after Sega ended Dreamcast support and Fatal Fury sold very badly. The game is known for great balance between characters and is still enjoyed by fighting game fans today. Cannon Spike is a shoot 'em up game that allows shooting in multiple directions. The game play is very similar to Smash TV with the ability to shoot and move in any direction. It features characters from many different Capcom series, like Street Fighter, Mega Man, and Ghosts 'n Goblins. Cannon Spike was released by Capcom in 2000 but sold very poorly. The shoot em up genre is very niche and selling a niche genre on a dying console is a recipe for bad sales. Skies of Arcadia is a role-playing game. You play as a airship pirate and all travel in the game occurs on airships. Each segment is set in a different dungeon with a network of paths and you need to find the correct one to exit. Skies of Arcadia was one of the last Sega published games for the Dreamcast. It is only reported to have sold 10,000 copies in the USA. The game was ported to GameCube in 2002. Marvel vs Capcom 2 is a fighting game with Marvel and Capcom mascots as playable characters. The game includes Spider-man, Hulk, Mega Man, and Ryu. The game play is in 2D but the backgrounds and other effects are 3D. Marvel vs Capcom 2 was the most expensive game for Sega Dreamcast for a very long time. It was unseated as king in 2009 when Capcom released the game on Xbox Live and PSN. Used prices dropped 50% within a few weeks as people who bought the game to play it quickly moved to the cheaper Live and PSN versions. Tech Romancer is a 3D fighting game developed by, I'll let you guess, Capcom. You fight as different mecha characters in a story mode or challenge mode. Capcom continued to release so many fighting games on the Dreamcast even after initial games sold poorly because many of them were arcade ports. The hardware was so similar between Dreamcast and arcade that porting was a relatively inexpensive process. Giga Wing 2 is a vertical scrolling shooter published by Capcom. The game play looks similar to other games of this genre like 1942 but has a much richer background and many more enemies on the screen. The game is known for its ridiculously high scores, sometimes in the quadrillion. Giga Wing 2 was a port from arcade and came out three months after the Dreamcast was killed off in spring 2001. The game sold very poorly but is still a classic for shoot em up fans. Mars Matrix is another vertical scrolling shooter published by Capcom and ported from arcade. As the name implies, game play occurs in outer space with a very futuristic theme. Like other games on the list, Mars Matrix was released by Capcom, was in a niche genre, and released in 2001. The shoot em up genre is very loyal and many fans believe the best era for the genre was on the Dreamcast. The Sega Dreamcast Broadband Adapter is not a game, but is worth noting because of the high prices paid for the accessory. 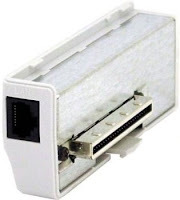 The piece allows the Dreamcast to access the internet at broadband speeds instead of through dial-up. Some people buy the hardware to surf the internet on their Dreamcast (someone please tell us how our site looks on the Dreamcast browser) but most people buy it as a collector's piece. The Broadband adapter was released two months before Sega exited the hardware business and stopped production. There are only five copies of this game in existence. It was given away as part of a high score competition in Japan using the original Bangai-O. The Bangai-O Prize Edition is identical to the original game, but has a sticker on the front that marks it as the prize version. Because the only difference is a sticker, prices are not as high for this game as one might expect for a title with only five copies. Space Channel 5 Part 2 is a rhythm action game and features Michael Jackson's voice and dance moves. The Limited Edition includes headphones and a carrying case. The Standard and Limited Edition was released in 2002 and neither received a North American release for the Dreamcast. 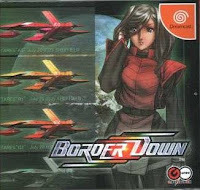 Border Down is a horizontal scrolling shooter. The game was released in 2003 long after the console was 'dead'. 5,000 copies of the limited edition and standard editions were printed. More copies of the standard edition have since been published but the limited edition is still just as rare. Under Defeat saw the success of Border Down in 2003 and released in 2006. It too is a shoot em up game. It is set in an alternate reality where you play as Nazi pilots against English speaking enemies. An HD version of Under Defeat was released for PS3 and Xbox 360 but only the PS3 version was released in the USA. This later release has not changed Limited Edition resale prices at all. Segagaga is a role playing game. The game parodies the story line of the Dreamcast console. You are recruited to take over Sega and reclaim their console glory by defeating the evil DOGMA company (Sony). The game has many cameo appearances by Sega characters. Segagaga was released in 2001 in Japan, but remains a cult classic because of its parody of the console it was released on. The box set was available exclusively trough Sega's online store.